On September 22, 2018, Danny “The King” Kingad, 22, of Baguio City, Philippines earned his sixth ONE Championship victory at “ONE: Conquest of Heroes” at the Jakarta Convention Center in Jakarta, Indonesia. 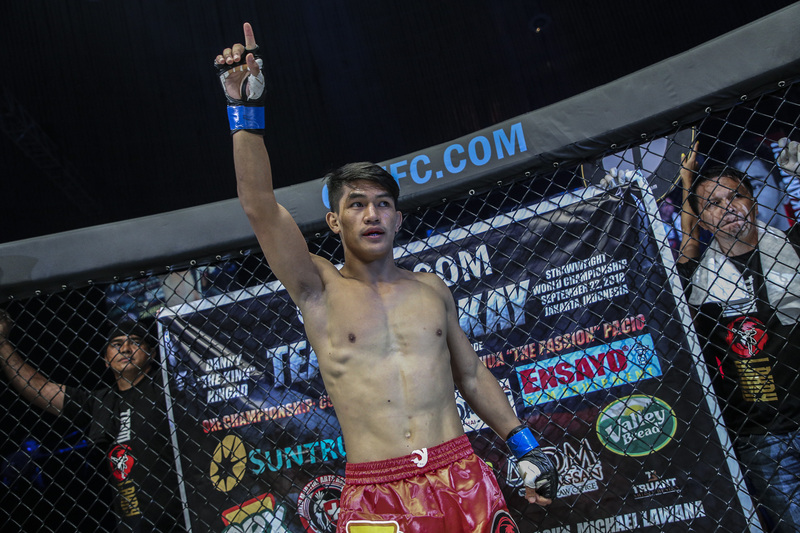 Recently, the Team Lakay fighter shared the game plan of his coach, Mark Sangiao, for his flyweight bout against Yuya “Little Piranha” Wakamatsu , 23, of Kagoshima, Japan. Kingad executed the game plan perfectly after the tumultuous opening moments of the first round, mixing up his punches and kicks to time his takedowns well and get the action to the ground almost at will. Having it his way on the canvas, he displayed his continuously improving ground game as he threatened to end the bout with a submission on a number of occasions. Wakamatsu made his ONE Championship debut at “ONE: Conquest of Heroes.” Kingad said he and his team knew that the Japanese fighter was a striker and a knockout artist.